This is a 3.5 or 3.75 for me. I have to admit that the first third was good but felt too familiar to me. The setup with Max being this arch liar and the circumstances of how he became the storied Max W all felt to me like I knew this story. Is there such a thing as deja vu in reading? It was a bit disturbing and distracting. Perhaps I've read so many books with unreliable narrators, sociopaths and duplicitous characters that it set off all my reader senses or the pull off wasn't as deft as it could have been. Perhaps a bit too on the nose so that I knew how the bad thing went down before I read it and also that when Max was so sure he knew the author of the notes, he'd been dead wrong. And Susannah? She was too long a list of quirks with no real sense of a reason or definite sense of self unto herself that there could only be one way she would surface because a secondary main can only cook so many meals, shag so many times and drift from panic to angst only so much and still maintain any sort of relevance. Still, this was a serious page turner (could not put it down & stayed up late reading) that surprised me in moments and had some quite good reveals (particularly the investigating officer). And the thing with the fox was some serious wtf-ery (very vivid description and well done). Actually, everything from that on was ascending levels of "what the hell did I just read?!" I loved that some got what they deserved and others... not so much (which made for a scarier ending). 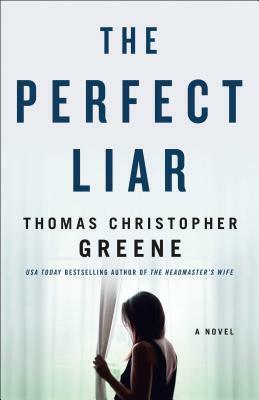 Summary: A seemingly perfect marriage is threatened by the deadly secrets husband and wife keep from each other, for fans of B.A. Paris and Paula Hawkins.